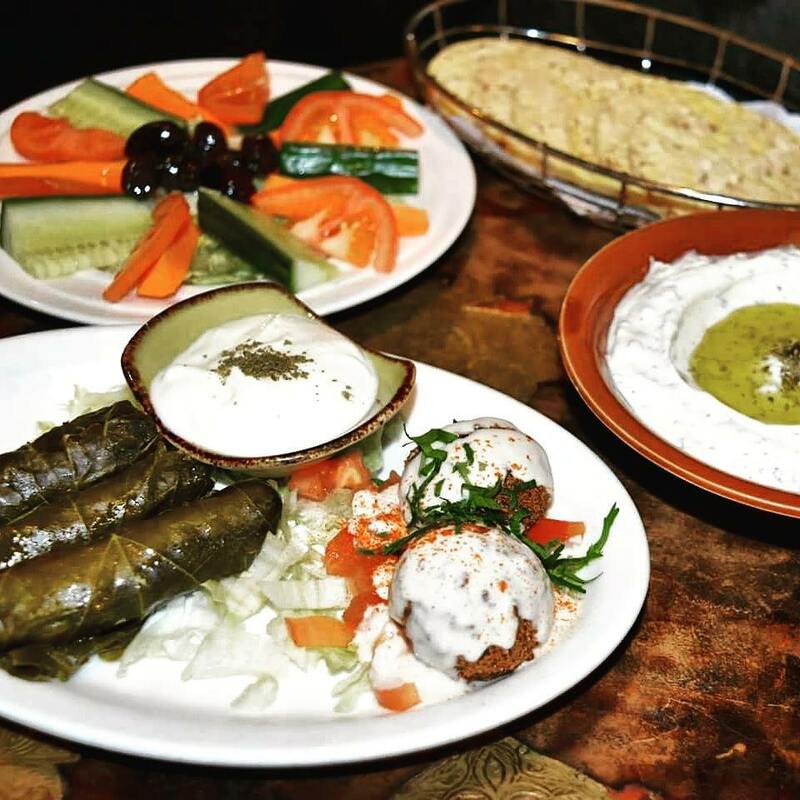 A banquet is the traditional way to enjoy our Middle Eastern Cuisine. 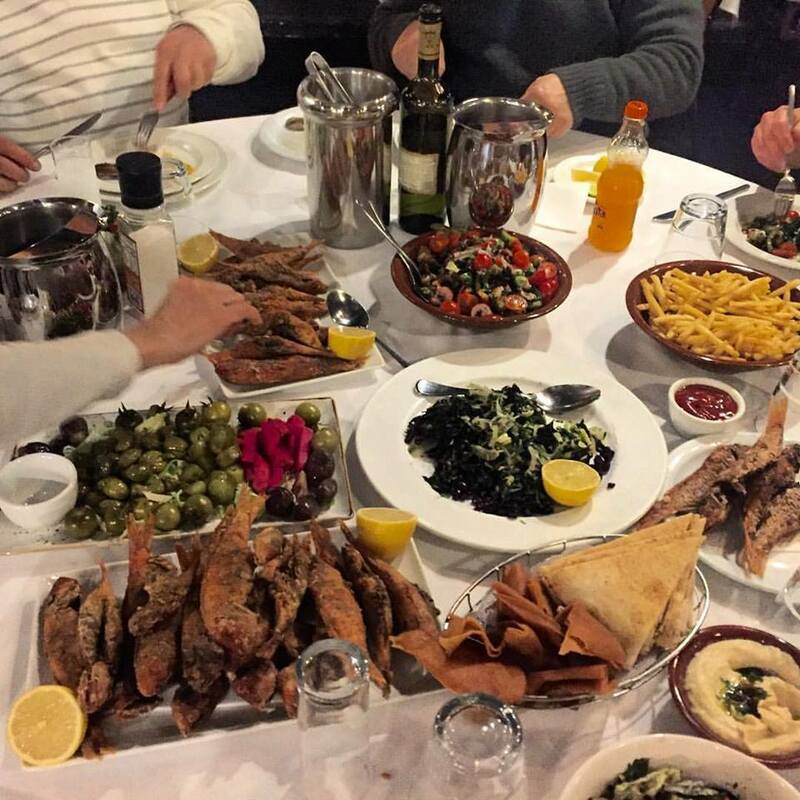 We will serve a selection of entrees, main courses, desserts and Lebanese coffee. There are several banquets to choose from that suit your appetite. 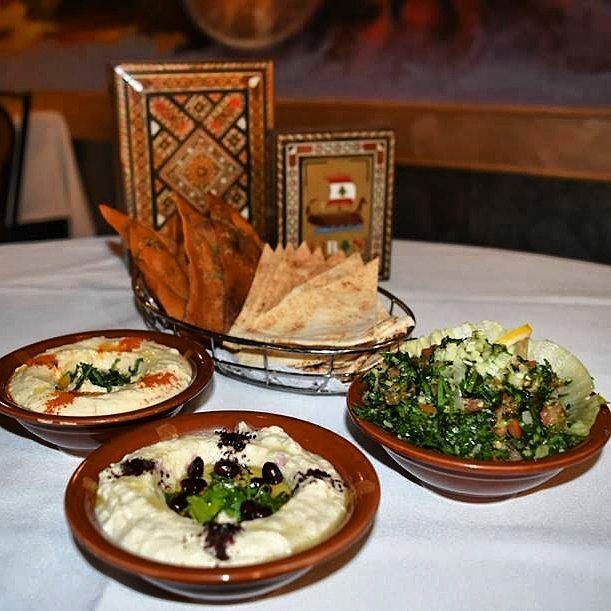 Hommos, Baba Ghanouj, Tabouleh served with Lebanese Bread. Felafel, Lahme’ bi Ajeen, Sambousik, Jawaneh. served on almond rice pilaf with loubieh beans. Baklava, Turkish delight, Mahallabia and Lebanese coffee. Felafel, Lahme’ bi Ajeen, Sambousik. Pan-fried scallops and prawns cooked with garlic, lemon and coriander. Fish of the Day with Tahina, walnuts, garlic, a hint of chillies and coriander. This banquet is an open menu. We keep offering extra dishes or repeats of those you already had and liked until you are completely satisfied and wish to move to desserts and coffee or tea. This banquet is an open menu. It is unlimited in quantity and in variety including starters, entrée’s, mains, sea-food, sweets and your choice of coffee or tea. French beans cooked in tomatoes, garlic, onions and a hint of curry with saffron rice. Corkage $8.00 per bottle of wine. If you have any kind of allergy please notify management as we cannot list every ingredient in this menu. *Please note that the open banquets have to be per whole table only. 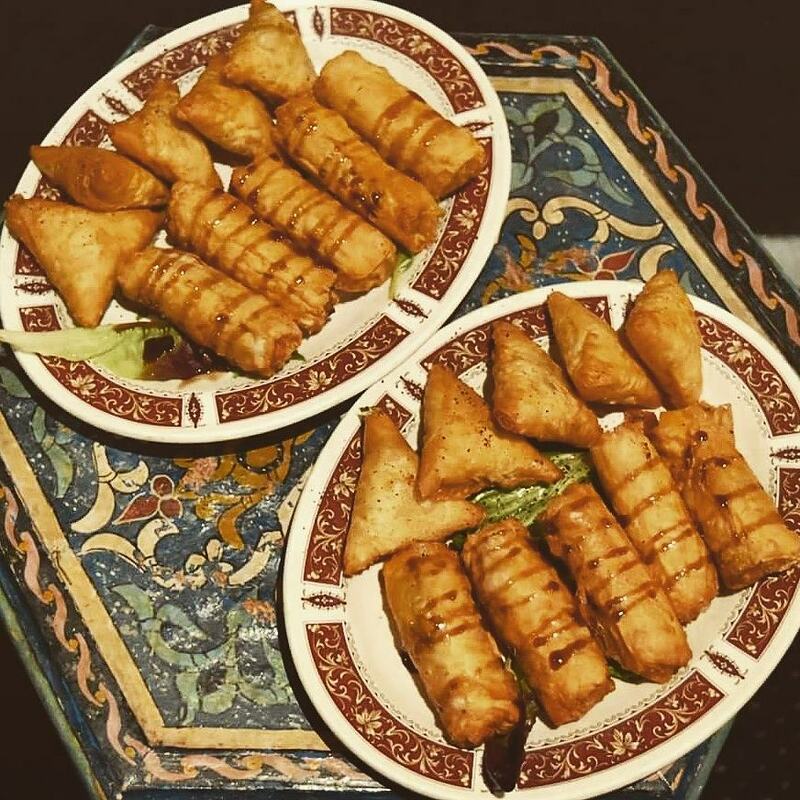 We cannot offer part Dunyazad open banquet and part Sheik’s open banquet or part set menu and part open menu.